but your avatar says you have a "flying carpet"
doubles are statesman fronts mate. in that case, i want a HG With monaro fenders, stato front, dark blue paint and twin 4 barrells just peepin through the hood, with the rear in the weeds on centerline mags with 305's wrapped around em, twin 2 1/2'ers dumping over the exhaust. you are dreamin lol cause you cant put a twin headlight front on a hg! but i read that they stopped making 2 doors from 1974 until the LE was released some years later? Ok make it a HQ Coupe then, do they exist? haha yes! in your first post. and i really like this one.. The LC is my favourite. i couldnt find one decent enough when it was time to buy a couple of years ago, now its like everyday i see mint ones FS. a family friend of mine has a couple of these HK's and the like sitting in his workshop. they were both built for show by his own paint and panel shop but never ended up being driven so one just sit on the hoist (427ci i think) and the other underneath it (350ci) both mint obviously. the dude lost his way when he became president of the vette owners club 10years ago so these showcars have been sittin unmoved/undriven/covered for well... 10years! makes ya wanna get out the baby powder and start slapping! All i know is i love it and i want one. Hey sorry guys but i was wondering why this car is so cheap??? double headlights with a single grill, are Premier front ends, which were like the Calais for Kingswoods. The Statesmans had 2 grills. Statesmans were the equivalent of Statesmans today. Last edited by b1ancardi; 22-05-06 at 07:16. LOL... the 'prem' front ends are infact LS monaro's... sort of like your luxury thing with electrics etc. Then theres your sporty GTS monaro. I know the owner of NOTNEW... it is immaculate... and is getting a chev dropped into it shortly! By far the best monaro ive seen and hes only 20 or so years old! Did he build it himself, does his dad drive a insane 64 Chev on airbags? I always see them together at shows. Both are very nice cars. Yep his dad has the bagged chev. Built the HQ himself, started off blue! 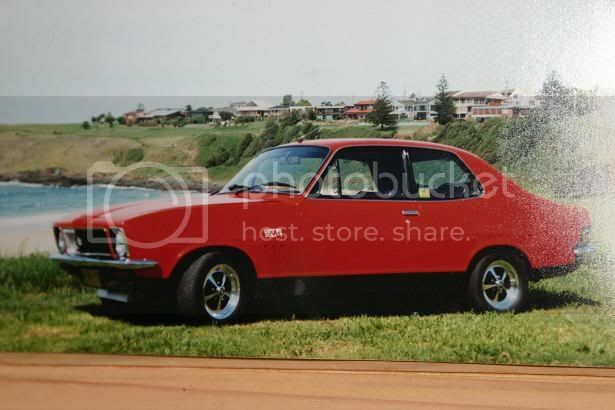 this is what i like to call..."the shi/t"
and here comes the toughest, fastest, badddest of them all... :s .. or near enough..
if you didnt know, im one of the biggest torana fans going around, my initial plan was to have my stock vlt as a daily and build up an xu1, i blew a motor in the vlt and made it go faster.. 2 days later i blew another motor in my vl and went faster again, 4 weeks later i blew yet another engine in my vlt and all of a sudden it has 9 second potential and that xu1 isnt happening n e more... oh yea.. i blinked once in that time! does anyone have the pic of mark hayes's torana when it got all 4 wheels off the ground from a massive launch? ya, the LS Monaros have Premier front ends. I wasnt saying people put Premier front ends on normal Monaros. farrrrk I love HQ arses. i'll have to get some pics up of my old beast when i get home.